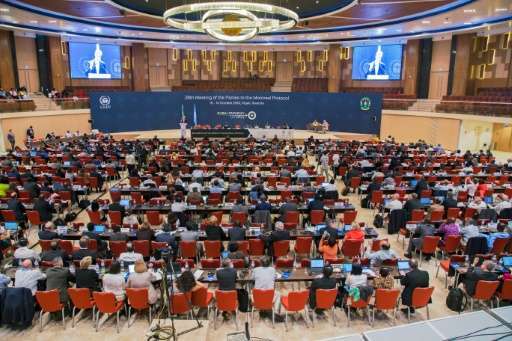 Representatives from almost 200 countries reached an agreement Saturday on the phase-out of potent greenhouse gases used in refrigerators and air conditioners, a major step in curbing global warming, a Rwandan minister hosting the talks announced. 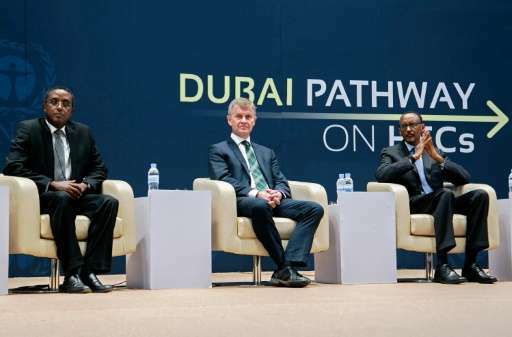 "The amendment and decisions are adopted," said Rwanda's Minister of Natural Resources Vincent Biruta, who presided over the talks, held in the country's capital Kigali, on ending the use of hydrofluorocarbons (HFCs). "This is a huge win for the climate. 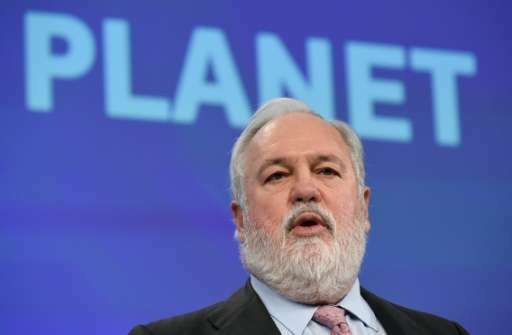 We have taken a major concrete step in delivering on the promises we made in Paris last December," said Miguel Arias Canete, a commissioner with the European Union in a statement ahead of the adoption of the agreement. "The global phase-down we have agreed today could knock off up to half a degree of warming by the end of the century." Tough negotiations had seen major developing nations such as India put up a fight over the timeline to phase out the use of HFCs and the financing of the transition. HFCs were introduced in the 1990s to replace chemicals that had been found to erode the ozone layer, but turned out to be catastrophic for global warming. However, swapping HFCs for alternatives such as ammonia, water or gases called hydrofluoroolefins could prove costly for developing countries with sweltering summer temperatures, such as India. HFCs' predecessors, chlorofluorocarbons (CFCs), were discontinued under the 1987 Montreal Protocol when scientists realised they were destroying the ozone layer. This blanket of gas in the upper stratosphere protects Earth from the Sun's dangerous ultraviolet rays. But it emerged that HFCs, while safe for the now-healing ozone, are thousands of times worse for trapping heat than carbon dioxide, the main greenhouse gas. According to the Berkeley National Laboratory, air conditioning is the cause of the largest growth in HFCs—and the world is likely to have another 700 million air conditioners by 2030. Last year's Paris climate agreement aims to keep global warming below two degrees Celsius (3.6 Fahrenheit), compared with pre-industrial levels. But continued use of HFCs could prove a serious stumbling block to attaining the goal. HFCs—though they are greenhouse gases like carbon dioxide, methane and nitrous oxide—are not dealt with under the Paris Agreement but under the Montreal Protocol. Climate change stories should be in a political website rather than a science website.